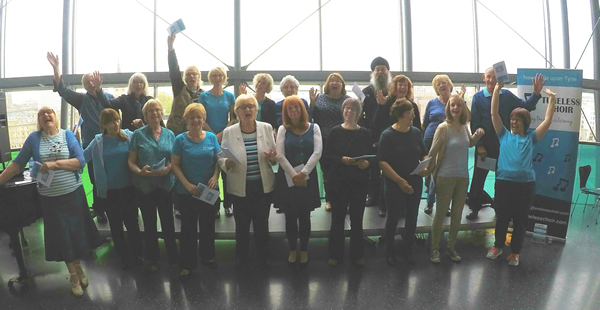 We launched Newcastle Tuneless Choir in September 2016, and between then and now have had many happy hours “singing like no one is listening”. We hold the choir at St. Thomas the Martyr, Haymarket, Newcastle upon Tyne, NE1 7PF. Though this is a church we don’t sing hymns – just popular songs from all eras, and the occasional local song. Newcomers are asked to pay £10 the first time they attend – which covers the registration fee and their first session. The regular price is £7 if you “pay as you go”, or you can pay in advance for a term for the equivalent of £5 per session. Refreshments are included. 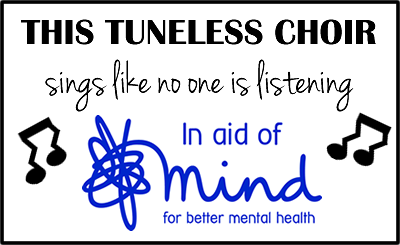 You can just come along, but if you’d like to know more in advance then feel free to contact us by emailing newcastle@tunelesschoir.com or calling Minty on 07852 706521. You can sign up to our email list below to get regular updates about the choir including reminders of session and such like. You can also follow us on Twitter or like our Facebook page.